The Honeycutters have a voice you can’t ignore; a voice of persistence, of struggle and of hope, a voice that leads the new music movement erupting out of Asheville, NC. Their 4th studio album, On The Ropes, was released May 20, 2016 on Organic Records. Nashville’s Music City Roots’ Craig Havighurst says principal songwriter and frontwoman, Amanda Anne Platt “has a voice that’s complex, sweet and aching. Even more potently, she writes songs that folks are citing as up there with the best of the field, such as Mary Gauthier and Lucinda Williams.” Along with Platt, The Honeycutters are Rick Cooper (electric and upright bass), Josh Milligan (drums and vocal harmonies), Matt Smith (pedal steel and electric guitar), and Tal Taylor (mandolin). On The Ropes was produced by Amanda Anne Platt and Tim Surrett and engineered and mastered by Van Atkins at Crossroads Studios in Arden, NC. “Fitting in at country honky-tonks and hard-scrabble bars alike, the Honeycutters have built a reputation for high energy shows coupled with tight harmonies and wistfully delicate lyrics of longing, heartbreak, and the American experience,” writes Alan Cackett (UK). In On The Ropes Platt continues to bring songs of heartache, yearning, and comebacks using phrases so relatable you wish you had thought of them yourself, ”Love ain't ever black and white, it's pink and gray and blue besides” (“Blue Besides”). In a recent interview with David Dye of the World Cafe, Dye pointed out Platt’s string of songs with ‘love gone wrong’ themes. Her response, “Doesn’t everyone have stories of love gone wrong?” Part of Amanda’s significance as a songwriter lies in her ability to write everybody’s story and allow each listener to feel it’s theirs alone. She shares songs of love and loss, songs of struggles and fears; in “The Only Eyes” Amanda writes, “If there were an easier road that wasn't so crooked, Honey, I hope you know I would have took it.” NPR’s World Cafe, produced by XPN in Philadelphia, brought the show to Asheville’s The Grey Eagle this February for a sold out evening of entertainment including The Honeycutters in their “Sense of Place” series. The power of Amanda’s songwriting requires musicianship with the kind of edginess needed to match it, to cohesively surround the lyrics in just the right skin while still shining in their individual performances. Alternating between upright and, new to this album, electric bass, Rick Cooper accentuates the band’s delve deeper into a rock sound blending with their old-school country roots attitude. Along with drummer Josh Milligan the two create a powerful pocket and groove that locks the album together, with Milligan’s vocal harmonies complementing and enhancing Platt’s lead. The pedal steel work of Matt Smith brings unexpected rock licks on an instrument traditionally reserved for a classic country sound in tracks like “Blue Besides” and “Only Eyes”. Smith also shows his prowess on electric guitar with rock, and R&B flavored runs and solos like in “Golden Child”. Tal Taylor’s mandolin cuts through with bitey, bluesy notes and fierce tremolo that pushes the instrument beyond its obvious folk appeal. 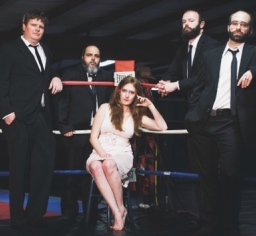 On The Ropes has thirteen tracks of all original material with the exception of Leonard Cohen’s “Hallelujah,” a song Amanda has been playing since before she moved to Asheville. She says, “We've had a number of people ask us to record our version, so here 'tis.” Special guests on the album include Amanda’s father Mark Platt on harmonica, Jeff Collins on piano, and Jason Webb on Hammond B-3 Organ. "The Handbook" features the lovely ladies of Sweet Claudette on vocals: Dulci Ellenberger, Melissa Hyman, and Amber L. Sims. A special vinyl edition of On the Ropes will be released April 12, 2016 on Vinyl Tuesday, as a featured national release for Record Store Week. This will include a double album released through Organic Records®’ national distribution partner Select-O-Hits. This vinyl album will be made available to independent record stores throughout the country in time for Record Store Day on April 16th. Vinyl Mastering by Scott Barnett at Crossroads Studios / Arden, NC and Jeff Powell at Take Out Vinyl, Memphis, TN. In their “50 Essential Albums for 2015” list, Saving Country Music writes, "Me Oh My is the 14-song testament that you sense could be the centerpiece of her career when it’s all said and done... This is a band, an album, and a songwriter that both the Americana and country world should pay greater attention to." Me Oh My launched The Honeycutters onto the national stage, bringing along an army of fans with them. Don’t blink now, they’re coming back for more. Stay tuned to www.TheHoneycutters.com for tour dates and more. It's been a busy year for newcomer Sam Morrow. 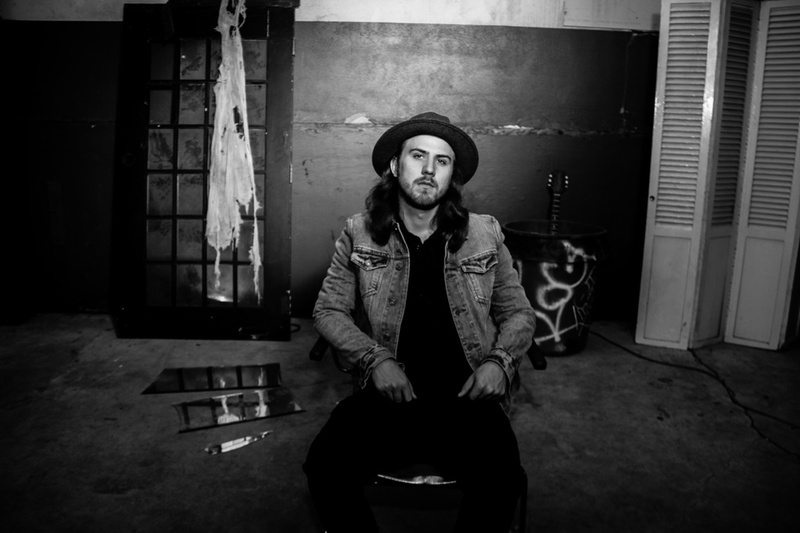 Over the course of 15 months, he will have released his first two full length albums, a live in-the-studio EP with accompanying videos, be named an NPR "World Cafe Next" artist and play more than 100 shows, including an East Coast tour with blues legend John Mayall, kicking off The Bandit Town Festival and a successful SXSW. In 2014, Forty Below Records released Morrow's first record Ephemeral, about which influential Americana magazine No Depression declared, "Sam Morrow has crafted a sterling debut LP that offers ready comparisons to the inspiring melancholia of Bruce Springsteen's Nebraska, Steve Earle's Train a Coming and Jason Isbell's more recent Southeastern." While Ephemeral introduced the world to Morrow's story and sound with a collection of haunting vignettes, his sophomore effort, There Is No Map, goes a couple steps further, exploring the joy ride before the hangover. Infused with an explorer’s soul and world-weary eyes, the structure and heart of this album mimic Morrow’s own growth as a person and artist. It’s an undeniable celebration of life, in all its unvarnished glory, as is evident right out of the gates where album opener, ‘Barely Holding On’, finds our thrill seeking maverick, thundering down the asphalt on a cocaine-fueled adventure. "(Album producer) Eric Corne and I had a vision, since the end of our last record,” Says Morrow, “for this one to be daring. The last album dwelled on the darkness of growing up and running from reality, so I wanted this record to highlight the real adventures I had, and still have. We also wanted this record to be more of an ensemble, with the instrumentation helping to tell more of the story. We got some of our favorite musicians together in the studio for four days total; Matt Tecu on drums, Eamon Ryland on guitar, Ted Russell Kamp playing bass and Sasha Smith on keys. We recorded the first five songs in two days at Kingsize Soundlabs, in Eagle Rock. It provided a space where we could just go in and create, not simply record. The beauty of the ensemble that we put together is the ability for Eric and I to work together with them on a very raw idea. One of the songs we did at Kingsize was ‘Wasted Time.’ The interaction between Eamon’s pedal steel playing, Sasha’s organ part, and Matt’s minimalist percussion approach wouldn't have happened tracking separately." Corne continues, "We topped it off with Eamon's iconic baritone guitar solo and gorgeous background vocals by Samantha Valdez. She added that classic country element, like an Emmylou (Harris) or Patsy (Cline) would have done. "It's easily my favorite track on the record," exclaims Morrow. "I felt as though I was changing as a person and so my music should follow. My tastes had matured and I found myself digging deeper in the depths of traditional Americana; Little Feat, Hank Williams, Paul McCartney’s RAM, Lucinda Williams, Merle Haggard. I found myself being influenced by things I wasn’t before. Early in my life, I turned a shoulder to country music but once I started seeking out the sounds beyond what we’re spoon fed, I found my home; the land of storytellers and outlaws picking against the grain. But I still wanted to stamp it with my own brand. I wanted to dip into psychedelia and make a record referencing all different kinds of music that I love." On, ‘Am I Wrong,’ you hear some Ray Charles crossed with The Doors; ‘Green’ blends country and gospel; and ‘The Deaf Conductor’ serves up acerbic Dylanesque wordplay over a rollicking Crazy Horse thump and guitars reminiscent of Lowell George (Little Feat). Whereas Ephemeral was written amidst a fog of lingering depression and addiction, Morrow’s turn with There Is No Map, is a wide-eyed journey through the past, careening into the future; Drenched in a childlike optimism and chemical-induced glee, the realities of this record are consequences of Morrow's own juxtaposed experiences. Even its artwork taunts the imagination with a provocative impossibility of conflicting worlds; There is No Map wrestles with paradox and invites the listener to take a seat, sweat along and tackle their own internal struggle. In the end, there is no map to center of one's soul. It's an existential journey and one that promises to be a landmark for Sam Morrow and anyone willing to listen.